Looking for the edge to help climb your tipping competition ladder? Looking for some extra value in your bets? TipAmmo AFL is the ultimate sidekick for tippers and punters. When you're happy with your tips for the round; email, message or Facebook them straight from the app. And don't worry about forgetting to submit your tips, we've got you covered with reminders when the round is about to begin. - Years of AFL game data right at your fingertips. - Constantly updated news feed to keep up to date with the latest news at every AFL club. TipAmmo is the ultimate assistant, research and advice tool for AFL tippers and punters. We'll help you climb the league ladder. 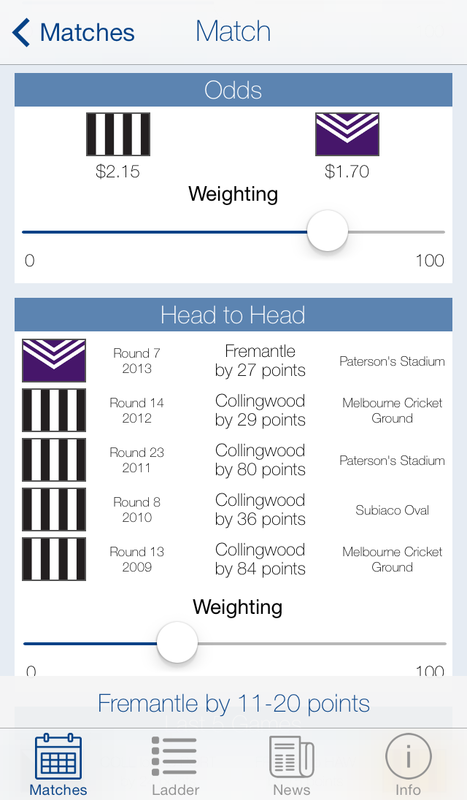 Note: TipAmmo is an unofficial App and not affiliated with the AFL. All trademarks are the property of their respective owners.